A revolutionary new marking system has been rolled out in a bid to deter sheep rustling. Drummond Estate near Comrie, which grazes around 3,000 sheep, hosted the launch of the TecTracer theft-deterrent system yesterday. It ingrains thousands of coded microdot markers into each sheep’s fleece, thus identifying the animal and which farm it comes from. David Wallace, of the Drummond Estate, said that several incidents of sheep rustling had proved costly for the business and welcomed this new innovation. “We’ve experienced first-hand how sneaky and resourceful these criminals can be,” he said. “The remote and isolated nature of much of Scotland’s sheep grazing land and hill farms means thieves can operate unseen when they target flocks. By marking our animals with TecTracer we at least have some chance of getting them back. And Chief Superintendent John McKenzie, chair of the Scottish Partnership Against Rural Crime (SPARC), added: “This is a fantastic example of partnership working to tackle an aspect of rural crime that can impact on farming communities throughout Scotland. In reducing opportunities for criminality, we will be both creative and innovative as SPARC recognises the impact of crime in rural communities. 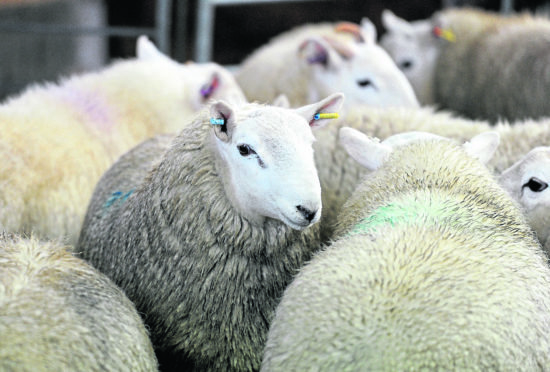 John Minary, managing director of TecTracer said by using thousands of coded microdots backed up by a database, the company are providing a “multi-layered response” that protects sheep on hills and in glens. “Where traditional ear tags can be removed, the microdots stay within the fleece and this simple preventative step turns the tables on would-be thieves, making flocks identifiable and keeping them safe,” he said.